The mighty rodent gets a cool mini format in these easy-read thrillers. Snack on some tasty Stilton. 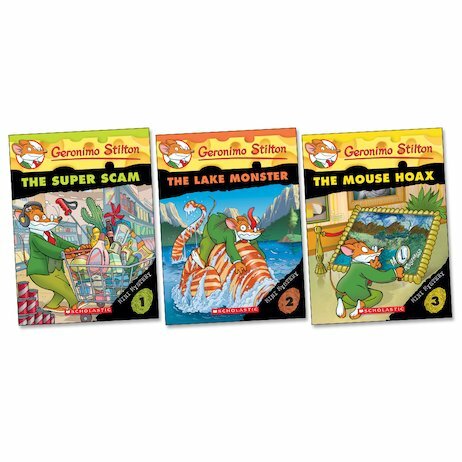 Join Geronimo and his friends in a trio of daft mysteries with extra cheese and extra chuckles. Can you spot the clues and help solve each case? These squeak-tastic chapter books are a brilliant way to get reading – and get laughing very loud.